In case you missed them, here’s a few new pieces I’ve written and published for Nature, National Geographic, and Hakai magazine last month. Thanks as usual to all of my excellent editors. I’m only posting brief excerpts here, so please check out the whole thing using the links below. I dedicate this book review to Jim Cushing, the Notre Dame professor who helped me learn about the intricacies of quantum mechanics and philosophy of science. He also showed me about intersections between politics and science. I never really had the opportunity to tell Cushing thank you, as he battled with depression and committed suicide in 2002. Ramin Skibba explores a history of unresolved questions beyond the Copenhagen interpretation. All hell broke loose in physics some 90 years ago. 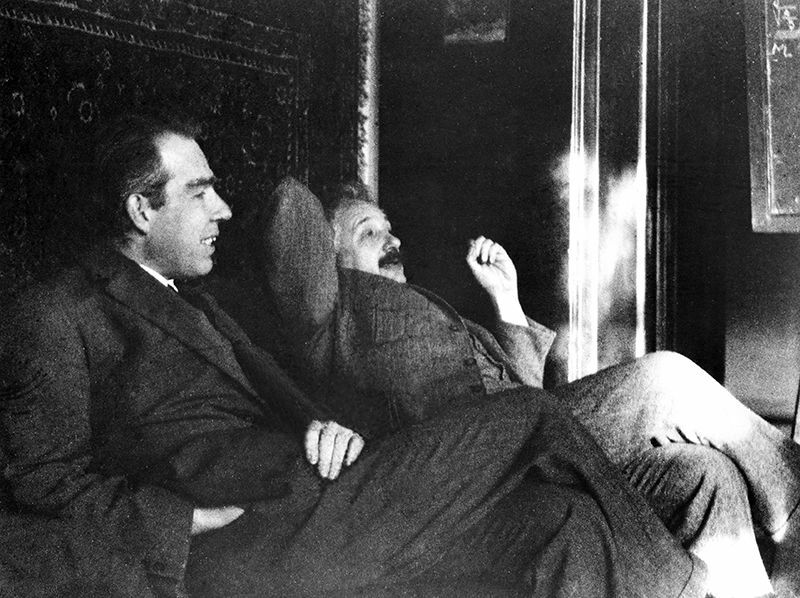 Quantum theory emerged — partly in heated clashes between Albert Einstein and Niels Bohr. It posed a challenge to the very nature of science, and arguably continues to do so, by severely straining the relationship between theory and the nature of reality. Adam Becker, a science writer and astrophysicist, explores this tangled tale in What Is Real?. Becker questions the hegemony of the Copenhagen interpretation of quantum mechanics. Propounded by Bohr and Werner Heisenberg in the 1920s, this theory holds that physical systems have only probabilities, rather than specific properties, until they’re measured. Becker argues that trying to parse how this interpretation reflects the world we live in is an exercise in opacity. Showing that the evolution of science is affected by historical events — including sociological, cultural, political and economic factors — he explores alternative explanations. Had events played out differently in the 1920s, he asserts, our view of physics might be very different. If climate change were just a flirtation with disaster—that is, the world acted decisively and cut emissions, and the amount of atmospheric carbon dioxide fell tomorrow to preindustrial levels—the planet would respond quickly. Within decades, land temperatures would return to normal. The ocean, however, would bounce back more slowly. Much more slowly. If greenhouse gas emission plummeted, the surface ocean—the top few hundred meters—would exchange heat with the atmosphere and recover relatively quickly, taking a few decades to improve. * But the deep ocean is like a roast in the oven, remaining hot long after the heat’s been turned off. Canadian citizen scientist photographers spotted a fleeting type of aurora not seen before, dubbed “Steve,” and scientists have started working out what’s causing them. While the northern and southern lights have dazzled watchers of the night sky for millennia, vigilant citizen scientist photographers found another type of aurora over the past few years: a short-lived shimmering purple ribbon of plasma. Their intriguing discovery drew the attention of space scientists, who have just begun to study them. “Dedicated aurora chasers, especially from Alberta, Canada, were out in the middle of the night, looking north and taking beautiful photos. Then farther south they happened to see a faint narrow purple arc as well,” says Elizabeth MacDonald, a space physicist at NASA Goddard Space Flight Center in Greenbelt, Maryland. There’s different physics behind those purple aurora, she says.